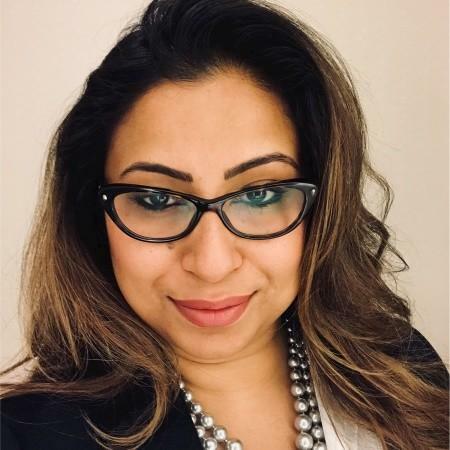 She succeeds interim general counsel Grant Coad, who had flown over to India from Walmart Canada after the US retail giant’s record acquisition of the Indian(ish) unicorn, alongside a bunch of other senior Walmart executives. Roy will be reporting to Walmart Asia senior vice president, chief administrative officer and its Asia general counsel. We have reached out to her for comment. Roy is a 2002 Symbiosis Law School Pune graduate with a postgraduate diploma in European competition law from King’s College London. She had begun her career at the Tata Housing Development Company, moved to Asian Paints in 2004, followed by Kodak Eastmann in 2005. In 2008 she had joined Thomson Reuters in London, moving up the ranks from senior legal counsel EMEA in London, to UAE-based chief counsel MENA, Sub-Saharan Africa, Russia/CIS, and in 2017 to general counsel (GC) of so-called global growth organisation (global emerging markets). Flipkart had seen a fair bit of turnover at the top of its legal team, losing GC Rajinder Sharma in 2016, only a year after he’d joined from Samsung. His predecessor was Srivals Kumar. She will also be joining at a challenging time in Indian e-commerce regulation, particularly for foreign-owned companies that have been impacted hard by new, more restrictive FDI rules that could see increasing competition from deep-pocketed domestic players. To date, Khaitan & Co has been Flipkart’s go-to corporate legal adviser, for the most part, while Shardul Amarchand Mangaldas had worked closely with Walmart in the acquisition. Damn! She must me really good to become WalKart GC (sic.). Though haven't heard of her much (or her e-com. experience, if any), probably because I have only worked in law firms. Can someone shed some more light on her bio? Any major deals or any major product launch assistance/ compliance or any major assit in setting up a regulated business? You dont need to be good. You need to be smart and diplomatic. She is a well known name in the Policy and Contracts circle. She is the ex-gc for TR. Her appointment is probably due to change in the e-commerce policy by the Modi govt. What she have is a LPO experience at Thomson (no deals), however credit where it is due, she made the cut.. so great and congratulations!! No everything is about deals my friend. Here her expertise as a strategist for government policy will come into effect. She is to play a pivotal role on whether Walmart is able to sustain in India after all. Didn't she report to Jagriti Bhattacharya at Thomson Reueters? Everyone at TR legal seems to want to leave. The number of TR CVs out in the market is staggering! Even though the attrition rate is so high in TR (higher than that in KCO, SAM/CAM), a lot of people return back to TR. We receive countless CVs where it seems to be a general trend that people leave TR only to return after a few years and then apply elsewhere after a year of returning. Any clue what’s the pay package ? Rumour has it that she will be getting somewhere 14-18 cr (which is the average flipkart SVP salary including bonus ) + bonus. I have no idea what the bonus is. PS this estimation is based on the assumption (the rumour that was going on) that walmart has increased the senior management salary post acquisition. Again, this is a calculated guess not the actual figure. 18 crores for cutting and pasting NDAs? Ab har wish hogi poori!! Yes but she is coming from UK. She was a GC for a division of TR in UK. So Pounds/Euro se Rs convert kar le.. While that has been a standard practice, the amount that c lass executive earn is roughly 1/3 of the CEO's compensation, start ups as we have seen do not follow the same trend. Peanut bhai, while you talking of 14-18 crore INR- I have a feeling that rarely, if any, would an Indian in-house/ GC cross 60mn (6 crore INR). Salaries of senior management were earlier visible in annual reports and you can make a more informed guess by extrapolating generally from there. 140 mn INR, not happening by a long shot.